Home » Our insights » Blog » Does your firm act in its customers' best interests? Does your firm act in its customers' best interests? The FCA is looking at whether to introduce a "duty of care" for financial services firms - raising the bar in terms of how companies treat their customers. Most companies would have work to do to reach it. The Financial Conduct Authority published a paper this week, asking for views on whether it should introduce new rules to impose a “duty of care” on financial services firms. This would essentially place a greater responsibility on companies to ensure they are acting in their customers’ best interests – a subtle but potentially seismic change to the FCA’s current principles. As things stand, financial services firms are governed by a weighty rule book, whilst also being subject to the FCA’s principles. These include a requirement to “pay due regard to the interests of its customers”, and to act with integrity. But they stop short of placing an obligation on firms to put their customers interests’ first. The rulebook does include one or two provisions which allude to acting in customers’ best interests – in the investment and mortgage markets. And from October this year, the Insurance Distribution Directive will also introduce the requirement for those who sell insurance to act in customers’ best interests. So it makes sense to widen the net to place this obligation on all financial services providers. If you work for a bank or insurer, you may be thinking: big deal, of course we act in our customers’ best interests. But while most financial services companies talk a good game in terms of customer-centricity, the reality is that competitive markets have created bad behaviours that we’ve all got used to. Most financial services businesses make a sizeable chunk of their profits from customer apathy and poor decision making. Indeed, in many cases, the business models are designed to facilitate that. 0% balance transfer credit card offers, for example, are predicated on the fact that a large number of customers will not pay down their debt quickly enough and will end up paying hefty interest rates when they get to the end of their offer. Similarly, savings accounts with high interest rates are paid for by the significant number of customers who don’t move their money when the offer lapses and the rate plummets. In the world of insurance, policies are sold at ever increasing pace, to reflect the fact that the customer wants to get the purchase over with – and may not complete the journey at all if it is too cumbersome. This means that very little is done to ensure that the product meets the needs of the people that are buying it, and they understand the limitations. These are not necessarily conspiracies. They are the natural outcome of intense competition in these markets. If you don’t offer lengthy 0% balance transfer offers, high savings rates, fast insurance purchase journeys - then you probably won’t win any customers. So you do what you have to do to win business and work harder to find other ways to make your customers profitable. But in a world where companies have to act in their customers’ best interests, where they have a duty of care, companies will have to work much harder to help their customers make better decisions. Once your credit card customer has lapsed from their 0% offer onto an APR of over 20% - or your savings customer has moved off their bonus and into an account paying 0.05% interest – I’d suggest that you’d need to be contacting them with some frequency to encourage them to switch. And if you really wanted to act in their best interests, you’d probably need to move them onto a lower interest credit card, or a higher paying savings account, after they’d been punished on the poor rates for a few months. Insurers would need to be doing much more to slow down the purchase journey and ensure that customers made suitable purchases, and understood the limitations of their products. I wholeheartedly support the introduction of a duty of care across the financial services industry. But if the FCA presses on, my concern would be how they would enforce breaches. The principles of regulation have been in force a long time now – but the FCA remains nervous in enforcing them. It’s still much more comfortable enforcing against breaches of the rulebook. All the same, much could be achieved just by making these changes and disseminating the intention to the industry. It’s impressive to see how many improvements have been made for vulnerable customers over the last year – as the FCA has kept that issue near the top if its agenda. 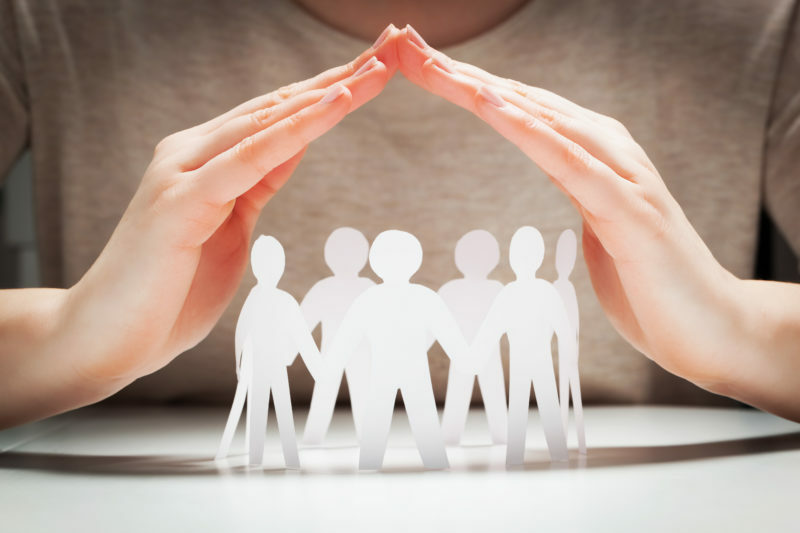 But if the duty of care is coming, the question for banks and insurers is – are you ready? I believe most organisations have a long road to travel.